Educators around the world are making a special effort to connect with one another around resources and collaborative opportunities during October, Connected Educator Month. It’s a time to share ideas, remember that there are others that think alike and find the inspiration to continue to do the tough work of experimenting with teaching strategies that stretch both learners and educators. A key theme this year is how to move from merely connecting with other educators into collaborations that push pedagogy and the education conversation forward. A panel of educators who’ve made this kind of connection and collaboration the center of their work discussed the challenges posed by the current American education system and helped present a dream for what truly collaborative learning could look like. “When new technology comes out, our first efforts to use it are for what we already do,” said Connie Yowell, director of education for U.S. programs at the MacArthur Foundation. “So a lot of what we've done in traditional education is to put content up online.” Yowell argues that using technology to push the same kinds of content that have been used for decades isn’t actually innovative. Through connection and collaboration teachers can start down a learning path that parallels the one they try to create for students. The dichotomy she describes is a lot like the conceptual move from merely connecting with other educators to collaborating on specific projects. 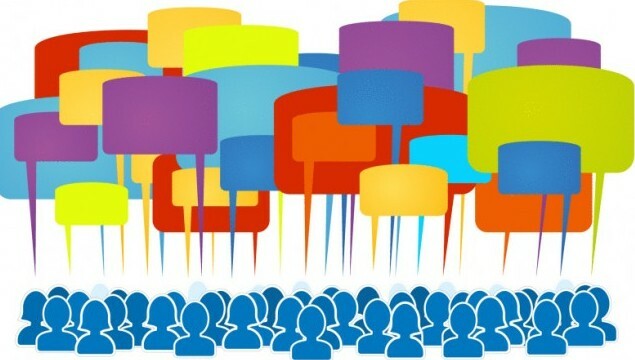 The internet has greatly enhanced educators’ capacity to connect with one another, something that only used to happen during professional development or at conferences. But taking that ability to the next level, using it to innovate and produce something new, would mean collaborating beyond districts or even national boundaries. “Our students have been often rendered as consumers of information, rather than collaborators and creators of information,” said Yong Zhao, director of the Institute for Global and Online Education in the College of Education at University of Oregon. “We want students to create genuine, authentic products for each other.” In many ways Zhao’s vision of learning applies to educators as well as students. Through connection and collaboration teachers can start down a learning path that parallels the one they try to create for students. “It is about how you as an adult help a learner create their own need to know so they are on a learning path with you, so they have a motivation that is connected to a shared interest,” said Yowell. She has seen this approach work well in schools that are constructed around “quests” or “missions” that students care about, often projects that affect their own communities. Within the framework of a quest, standards and knowledge can be thoughtfully embedded without disturbing the learner-driven pedagogy. One way Zhao envisions this type of collaborative learning is as a personalized learning ecosystem. Many college students already create a type of ecosystem by seeking out the most helpful professors, the best libraries, peer tutors and even social spaces. If K-12 education was envisioned in much the same way it could be more learner-directed with teachers acting as coaches and resources along the learning path. And for Zhao, it’s important to think of that ecosystem in a global context. Teachers and students from around the world can learn from one another, share lessons, best practices and even policy solutions. But to move in the direction of a learning ecosystem, or Yowell's definition of personalized learning, educators on the leading-edge of this work may need to redefine learning outcomes. Zhao cautions that if every new idea is justified using the requirements of an old system then it can never break free and realize its full potential. Kecia Ray, executive director of learning technology for Metro Nashville Public Schools brought an in-district perspective to the discussion. According to her, teachers need two things to be convinced to take risks in the classroom: an understanding of how those risks will affect their evaluations and enough trust with students, parents and administrators to step out on a limb. She also said there are a lot of practical things like seat time requirements, textbook funding and other logistical policies that stand in the way of teachers experimenting with letting students become co-collaborators, creators and producers of new and authentic work. “The collaboration is so significant for transformation that it cannot be underestimated,” Ray said. In her schools, if even a few educators can be convinced to take risks associated with blended learning or incorporating technology into their pedagogy, others follow. Collaboration helps educators feel that they are part of a movement, not alone and stuck. Supportive administrators are another key ingredient, remaining steadfast behind the teacher even when an experiment fails. Many panelists acknowledged that the current U.S educational system has become so focused on standards, accountability and testing that there is very little room to use technology in the generative way that Yowell, Prensky and Zhao advocate. That’s why many of the education technology tools on the market place pander to the current, limited model. “We have wonderfully inspired teachers and a whole set of tools and possibilities that we've never had before, but a bureaucratic system that’s preventing growth and opportunity,” Yowell said. She suggests trying out technology and its creative potential in more informal learning environments where the stakes for teachers aren't as high. Once educators are more comfortable with students as creators and producer, they might have better success integrating those approaches into the classroom. “We’re beginning to sense the need for an empowerment movement so that teachers can take charge of the learning environments that we’re talking about,” Prensky said. He believes this work will start from the ground up, growing in power until education policymakers can’t help but pay attention.